Cannot execute as the database principal because the principal "dbo" does not exist, this type of principal cannot be impersonated, or you do not have permission. Note: Replace <Database Name> and 'Publication Name' to correct value. 1. The scope of a temporary variable in session. 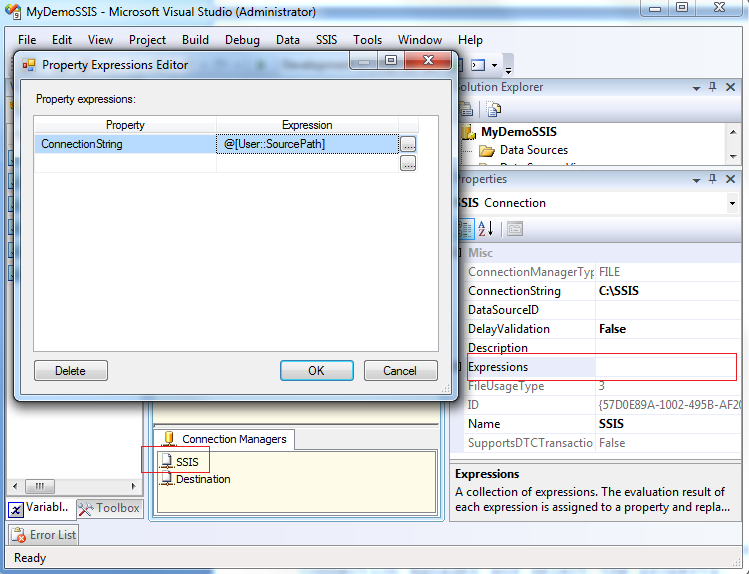 For example, if we will execute the following query in the same tab of SQL server it will execute fine. We will get an error message like Invalid object name '#temp'. Note: If we have a large amount of data and performing quires on it then the temporary table may be a better option than table variable since we can increase the performance of a query by creating indexes on it. Since table variables don't support transaction and rows has not been rolled backed. 4. 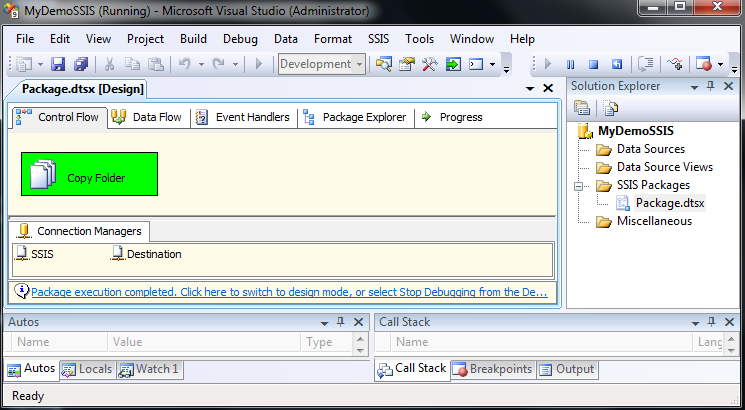 Tables variables in the stored procedures are pre-compiled while temporary tables are not. How to use a variable in ORDER BY clause in SQL server. 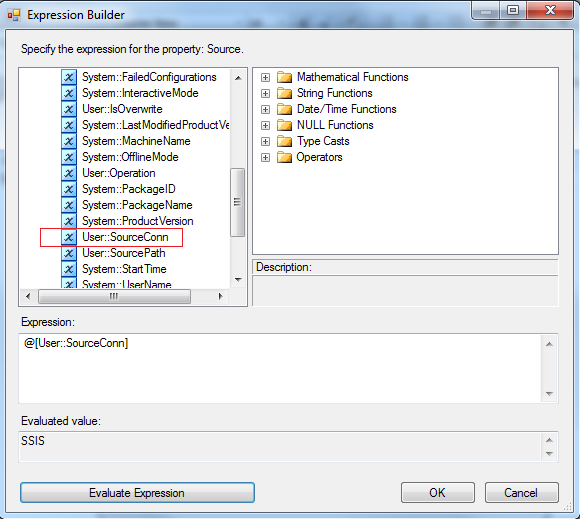 ORDER BY clause in common table expression in SQL server. 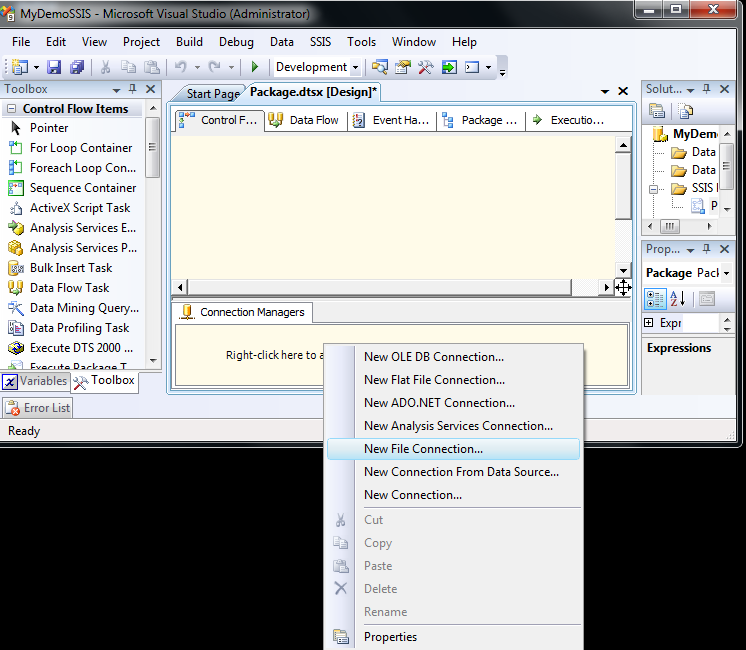 ORDER BY clause in view in SQL server. We can set all the File System Task properties or values in variables, configuration file, database etc. For this it is necessary to set default values. Storing the File System Task properties in variables. Step 1: Declare the variables for each property. In this example we will set the Source, Destination, Operation, and OverWriteDestinationFile properties. Source: It is string type which the name of the file connection of source folder. 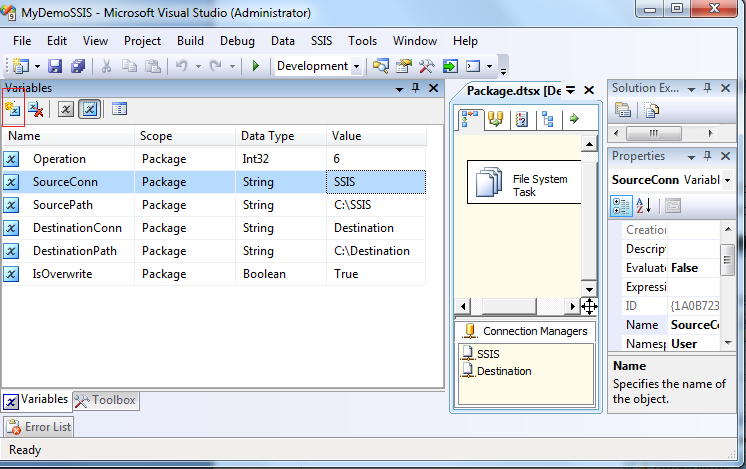 Destination: It is string type which the name of the file connection of destination folder. OverWriteDestinationFile: It is Boolean type. If it is true then it allows the content in the destination folder. To create a Source and Destination file connection right click on Connection Manager and select New File Connection. We will get File Connection Manager Editor. Select the Usage Type and Folder. Now click on OK button. In the same way create the destination file connection. Click on Add Variable icon. Write down the variable name, scope, Data type and value for each property. Note: It is necessary to assign the default values it will be used only if we have not set the values of properties in the expression. Step 3: Click on expression Tab. Click on the expression button. 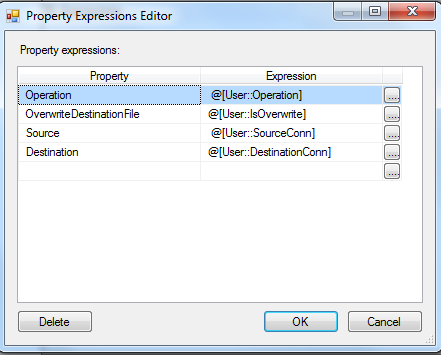 We will get the Property Expression Editor. 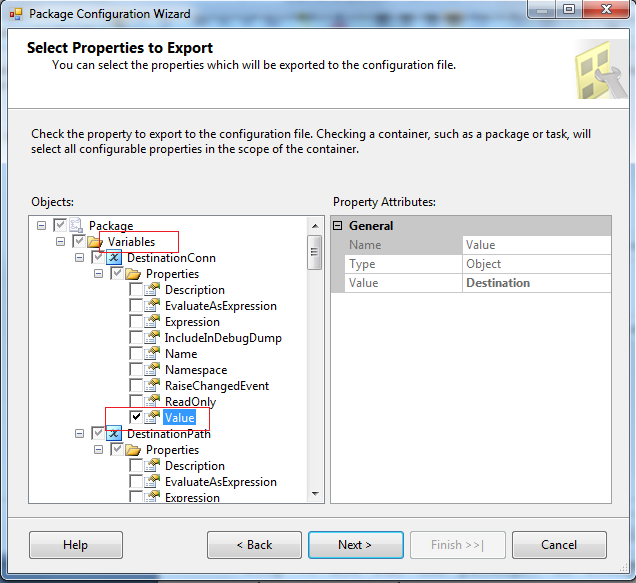 Step 4: Select Source property from Property combo box. Click on expression button. We will get Expression Builder. 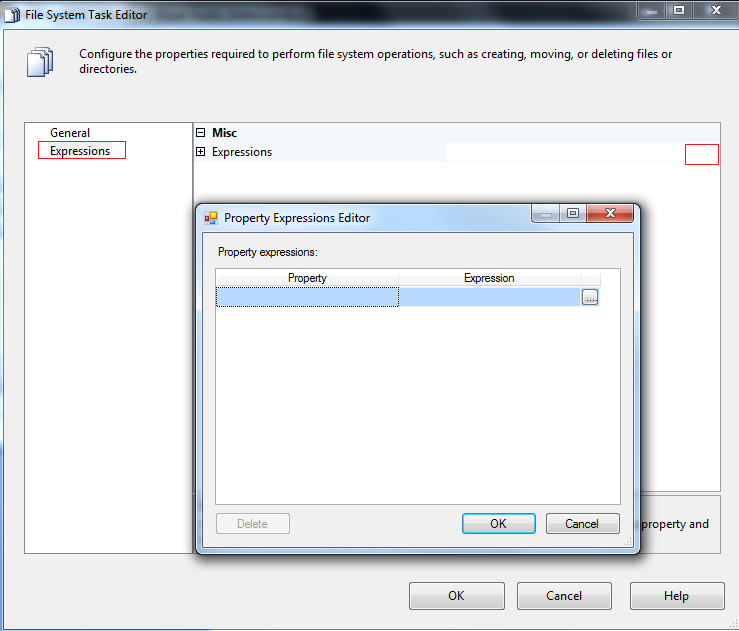 Expand the Variable, drag and drop the SourceConn variable in the Expression text field and click on OK button. Step 5: In the same way assign a variable to properties Destination, Operation, and OverwriteDestinationFile. 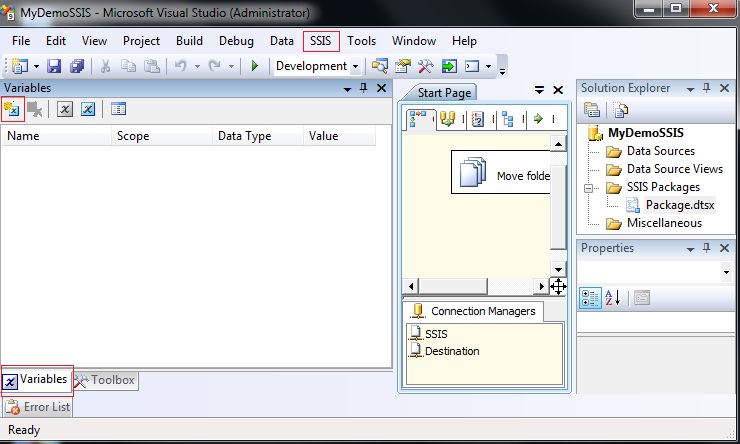 Step 6: Right click on SSIS file connection in Connection manages and select the property. Click on the Expression button and set the Connection String property. In the same way assign DestinationPath variable to Destination Connection String property. 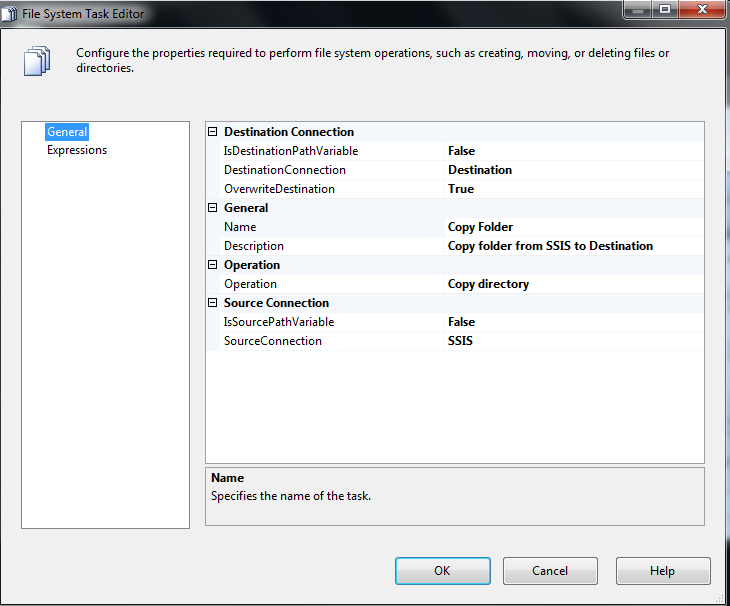 Storing the File System Task variables in configuration file. 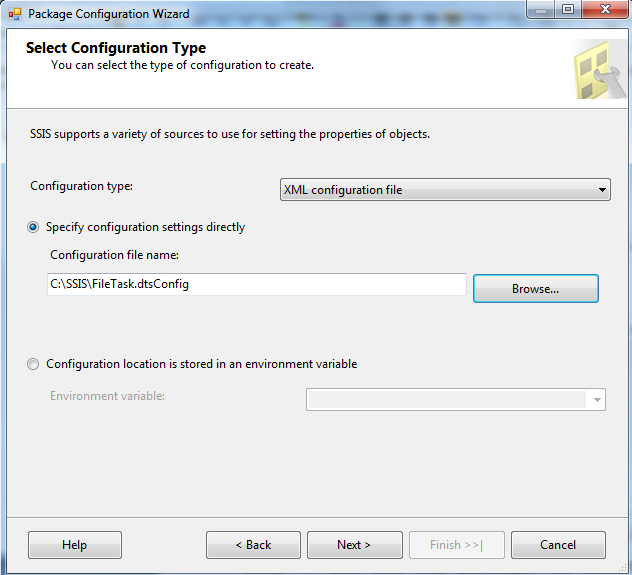 Step 2: Checked the Enable Package configuration and click on Add button. 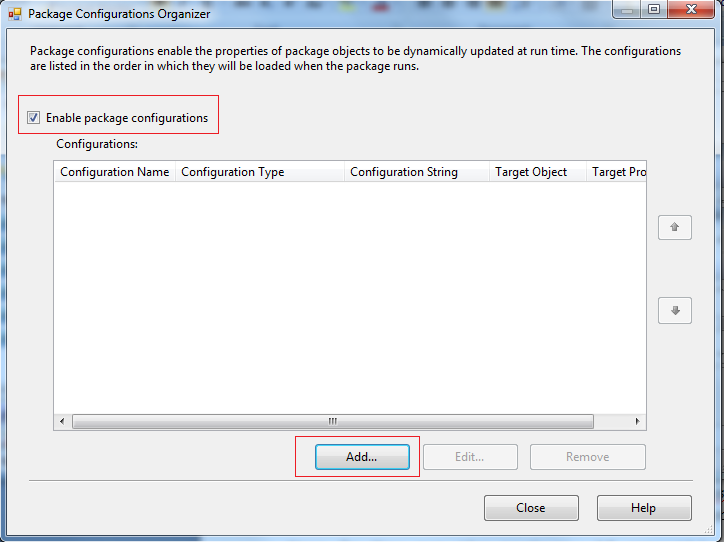 Configuration file name: Specify the configuration file name with path. Step 4: Select the variables and properties which you want to keep in the configuration file. In this example we are selecting only value property of all variables. Click on Next then Finish button.